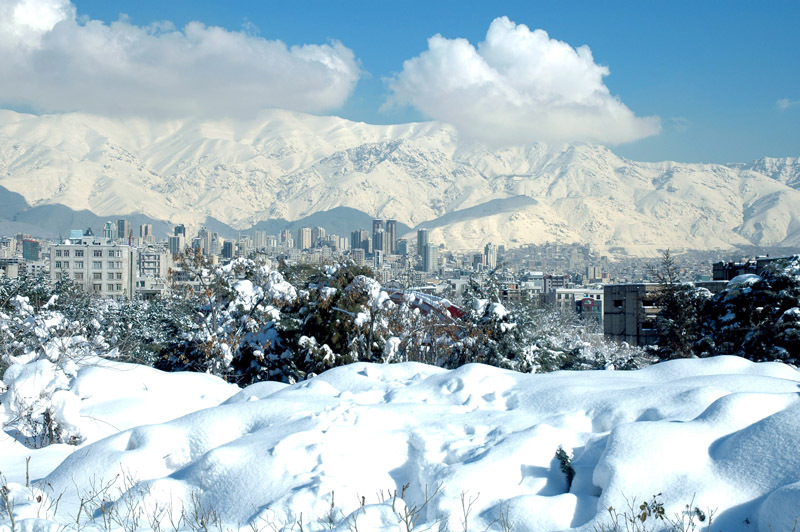 Tochal Ski Resort is a mountain in Alborz range in north of Tehran at the end of Velenjak St. in Shemiran area. Beautiful landscape with fresh air and sweet water springs caused to be a fantastic recreational region. Tochal Ski Resorts telecabins lines are as one of the longest connected telecabins lines in the world. This beautiful complex has fitness centers and sport facilities for skiing, hiking, archery, paint ball (gunfire) and body building. Ski Facilities: Tochal Ski Resorts telecabins has three main lines, four chairlift and T-bars lines. there are six main station and eights small stations. three teleseige routes and one teleski. The gondola loft that begins from Velenjak must be used for reaching ski resort and other recreational centers. Hotel facilities: Tochal Ski Resort has one Luxurious Tochal Hotel that is close to the ski resort. It has thirty rooms in two floors. Restaurants: one restaurant in hotel. Arrival to Tehran and transfer to hotel; overnight Tehran. In the morning, transfer to the Tochal ski resort – the fifth highest resort in the world. Enroute, enjoy seeing the beautiful snow covered mountain peaks in the winter; overnight Tochal. Full-day skiing in Tochal; overnight Tochal. Full day city tour of Tehran to visit Golestan Place that is both a historic site and museum. It is a complex that consists of 17 palaces, museums, and Halls and it is worth to spend a few hours to visit its luxuriously decorated rooms, nice and big dining area and ballroom and well landscaped Gardens and fountains. The Archaeological or national museum of Iran that represents you many different periods of Iran’s rich history, Glass and Carpet Museums. Transfer to Airport for departure flight.